This is definitely not one of Robyn Carr's better books. It is the story of Emma, who is starting over with almost nothing after the suicide of her husband, who had been convicted of bilking people out of millions of dollars. She returns to her hometown but because of her husband's notoriety, the only work she can find is low-wage jobs like working at a fast food place or in housekeeping. When Emma was off at college, Emma's best friend and boyfriend got too close and ended up pregnant. Of course Emma felt betrayed, even though her life was quickly moving beyond that small town. Emma and Riley haven't spoken since, but when she couldn't find any other job, Emma swallows her pride and asks for a job with Riley's cleaning company. Emma's love story is actually pretty believeable, but her work life after she gets home--absolutely not. Her relationship with her stepmom was equally unrealistic. She ends up rescuing a troubled teen, and a few months later everything is fine with that teen. Basically the whole problem with the book is that all the endings were happy and many of them seemed hurried and forced. All too often these days people seem to think that they need to have life figured out or working perfectly before they take a chance on love. Hook-ups, it seems, are fine for people whose lives are messy, but not love. Jackson in counselled throughout this book not to get involved but in a lot of ways, having someone who is there for him, and for whom he can care, is healing for him. While Gabby had a lot to lose if things went way wrong with Jackson, she gained so much when they went right. Worth the Risk is the story of a man who doesn't have it all together. Jackson's drinking has started to cause problems with his business. He has been sued, and his family life is a mess. Rather than go into rehab for his drinking, Jackson decides to take a six week vacation and to see a counsellor while there. He rents a garage apartment from Gabby's dad. Gabby was a girl who was going places until one night she got too close to the wrong guy and ended up pregnant. College is tough for a single mom so she stays home with her dad where she is chief cook and bottle washer, in addition to running a landscape business. Jackson is used to being busy and when things happen such that Gabby needs help, he steps up to the plate. Since her baby's father has never done that, Gabby is suitably impressed. Still, she knows he has demons and even gets him to talk about them, a little. This is the third book in the series but I did not feel I had missed too much backstory; this book stood alone well. It seems that knitting is on its way out and quilting is on its way in as a literary craft. In Birds in the Air, the two centers of action are a quilt shop and a church quilt exhibit. At the quilt shop newcomer Emma Byrd meets her first friends in her new community, and through them becomes involved in the quilt show. She learns that old loyalites, friendships and fueds go deep in a community where everyone knows everyone (and where most people are related in one way or another). I enjoyed watching Emma find her way in her new home, and thought the fact that she ruffled a few feathers in the "in" crowd and learned to find good in an outcast gave a sense of realism to the book. Quilt patterns were discussed but not to the extent than non-quilters would tire of them and though I'm not a quilter I am fascinated by those works of domestic art. Lake Serene resort manager, Shaw Chamberlin – having recently left a turbulent career in a big, bustling city – is determined to throw his efforts into overseeing renovating the family’s resort. Parts of his past still haunt him, but he's resolved to try to move forward. The enigmatic woman Shaw hired to run his snowmobile operation, Haley Walters, is looking to start over. She's competent and opinionated, and seems to be the only person able to draw Shaw out of his own self-scrutiny; she's the only person who makes him feel alive. When a new remote project has Shaw and Haley working together in close quarters, they allow themselves to explore feelings they've long kept buried. Do these two lonely hearts dare to bare their souls to each other, or are their pasts too near the surface to let them ? I read this one a month or so ago and forgot to review it at the time. I enjoyed it but I don't really remember it. In short, I'm sure it was a pretty typical romance set in Montana in the winter. It's part of a series and I haven't read any of the others. 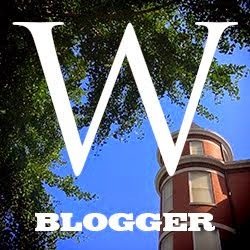 I recently reviewed Mistletoe Cottage. 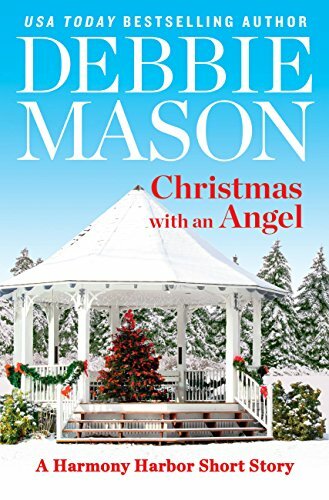 Christmas with an Angel is the second story in the series but as noted on the cover, it is a short story, not a full-length novel. I liked both Shay and Michael and though I thought the climax was a bit unrealistic, I enjoyed the fun holiday romance and look forward to the rest of the series. Thanks to the publisher for providing a review copy via NetGalley. Grade: B.